Stamps have always been the name of the "national business card", a symbol of a country's image. Therefore, every country on the issue of the stamps is very high, very strict examination and approval, be cautious. Because a stamp represents not only the image of the country, but also represents the country's highly recognized and highest praise for the characters or works of art. 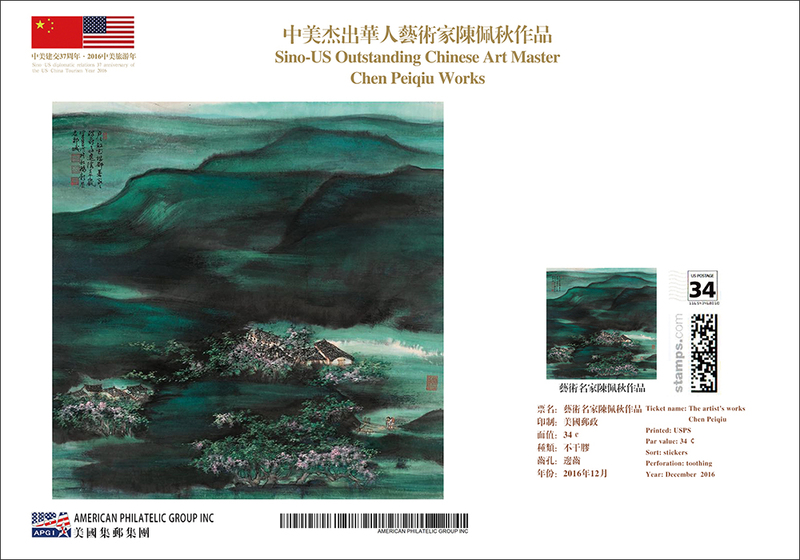 China painting master Chen Peiqiu is internationally recognized as the Chinese art you have deep influence at home and abroad. 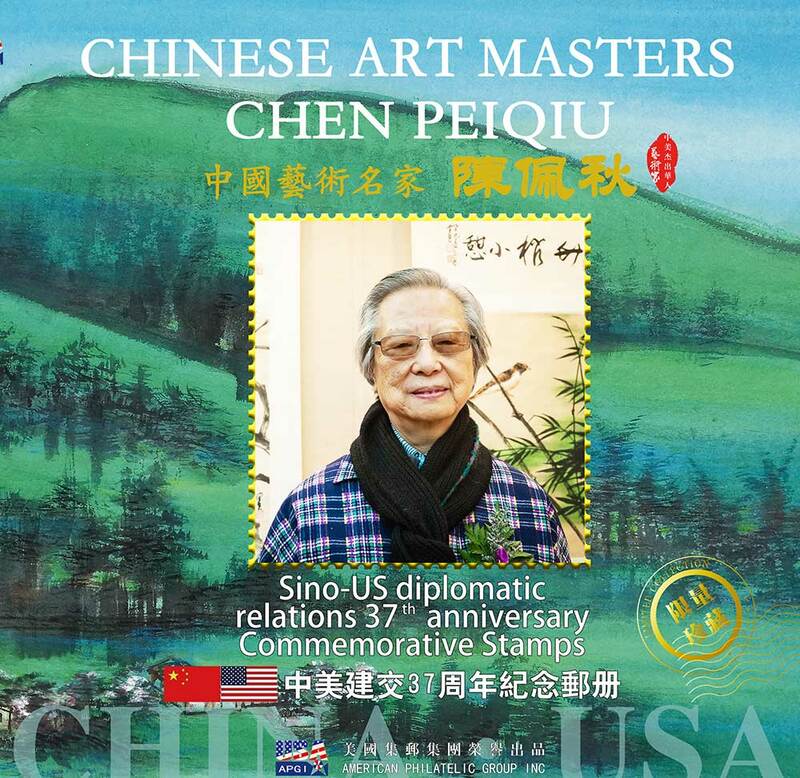 In order to fully demonstrate Chen Peiqiu's art of painting and calligraphy and Chinese the charm of traditional culture to the world, the American philatelic group at the United Nations' non material cultural heritage protection fund will greatly support, especially with the United States Postal Service in global public offering "Chen Peiqiu China art masters stamps". Chinese calligraphy and painting art is the essence of Chinese culture, but also the world's national cultural treasures. 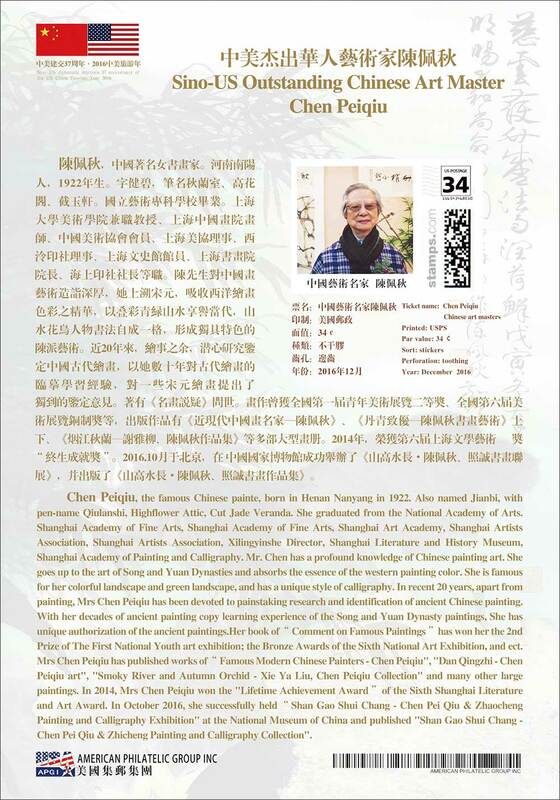 Therefore, in the global issue of Chinese art masters Chen Peiqiu stamps, which is not only a high degree of praise for the Chinese artist Chen Peiqiu, but also the world's lofty tribute to Chinese culture and art! 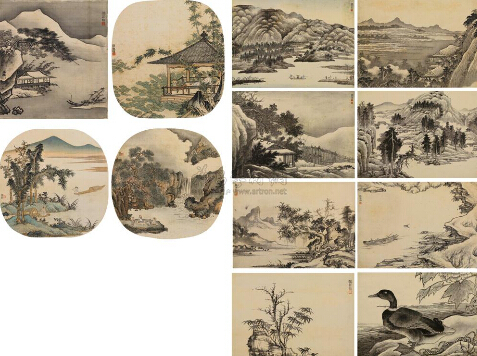 Chinese art is not only the pride of the Chinese nation, but also the common wealth of mankind. Chen Peiqiu born in December 1922, female, Henan, Nanyang. The word Jian Bi, these names, the two, Jie Yuxuan during the autumn. Spent her teenage years in Kunming. When she was young has been fond of art, excellent grades, especially in mathematics. In 1942, he was admitted to the Southwest Associated University and went to art school in Chongqing in 1944. 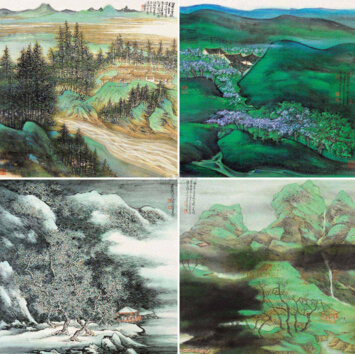 In the study process, Chen Peiqiu is not influenced by peers, concentrate on Chinese painting, with the study of flower and bird techniques of Pan Tianshou. 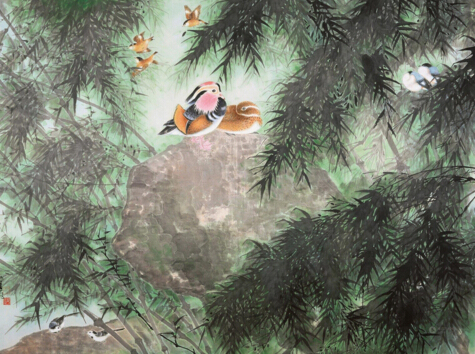 After graduating in 1950 in Shanghai City Cultural Relics Management Committee, to have the opportunity to copy the Song Dynasty flower and bird painting fan. "Flower and bird miscellaneous books" to show Chen Peiqiu's Song Dynasty meticulous flower and bird painting techniques. Then Chen Peiqiu's style of painting has extended to the extensive and freehand ink, good use of emotional skills to a more refined ink works beautifully. Chen Peiqiu believes that art is more expensive than "new" and "difficult"". Her own art foundation is based on tradition, her idea of innovation is relatively - no old no new. 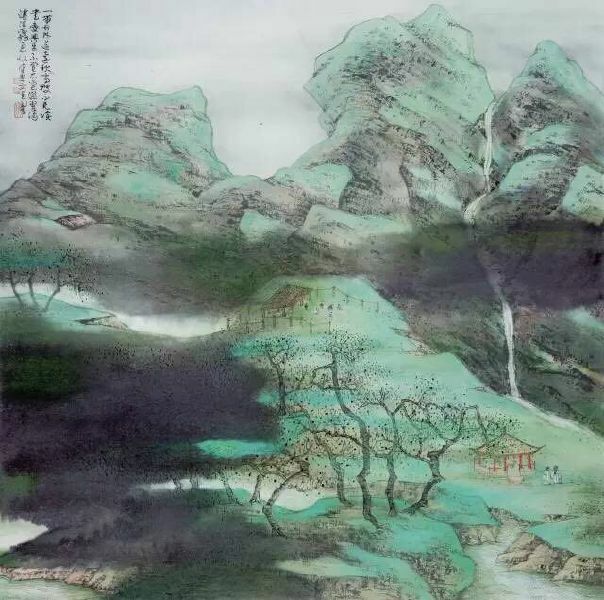 She carefully studied the painting elements of traditional Chinese painting, with refined lines and traditional ink, inspired by the use of Western painting color to describe the texture of the scene, volume and dynamic. She believes that the "new" is to go through the accumulation of knowledge and skills, and the accumulation of experience and control skills is time-consuming, arduous process is difficult". 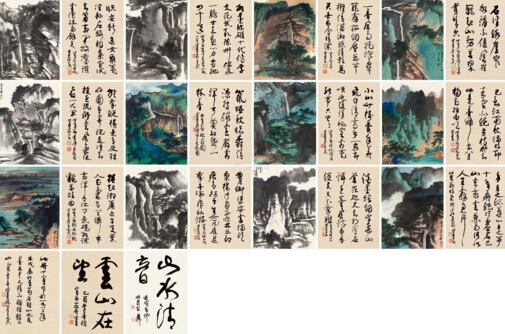 As a successor of traditional Chinese painting, she gave herself a mission to re - position the contribution of traditional Chinese painting in the development of modern art. According to artron.net, Chen Peiqiu works to the market price from 8215 yuan per square foot in 2000, rose to 105568 yuan per square foot in the autumn of 2016. The overall number of film works of Chen Peiqiu reached 1342, the total turnover rate of 77%. Chen Peiqiu works for the market, more experts on the future of the value of the work of the full confidence of the magnitude of the work of Chen Peiqiu. 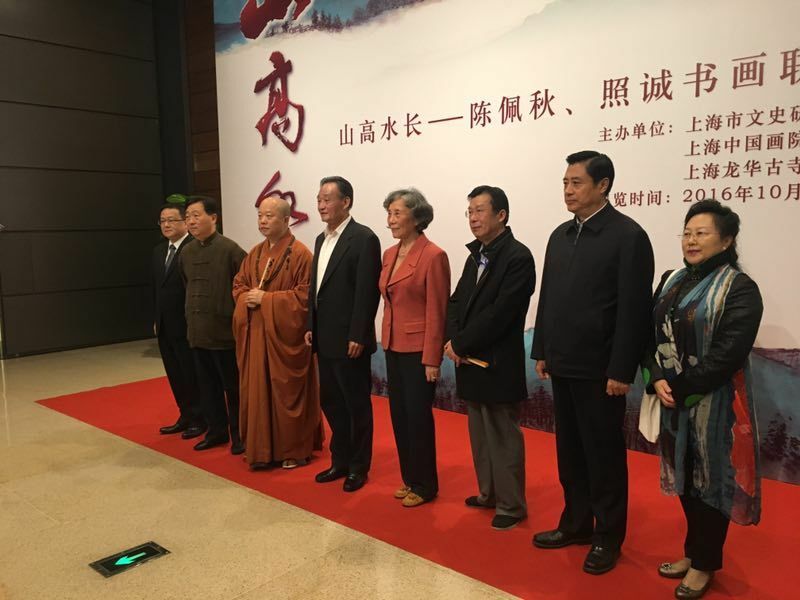 The afternoon of October 19, 2016, jointly organized by the Shanghai city hall, Shanghai China Historical Research Institute and Shanghai Longhua Temple "long - Chen Peiqiu, according to Cheng calligraphy exhibition opened at the National Museum Chinese. 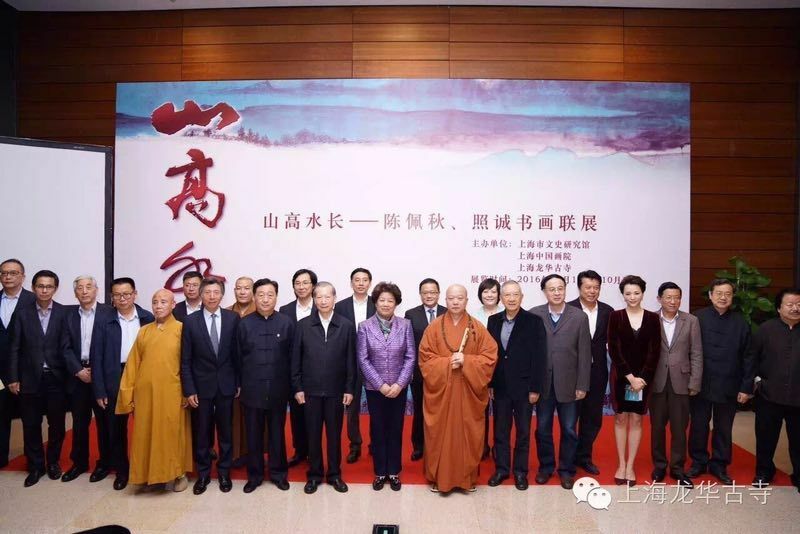 Guests attending the opening ceremony with former chairman of the NPC Standing Committee Wu Bangguo, former vice chairman of the NPC Standing Committee Chen Zhili, the former party secretary Jin Binghua, Chinese Writers Association vice chairman of the Federation of Tan Zhigang and other leaders at all levels and from all over the world of painting on behalf of Zhang Hai, Wang Ming, Cui Ruzhuo, He Jiaying Ming, Song Yugui, Feng Dazhong etc.. The opening ceremony hosted by the famous CCTV host Qing Dong. 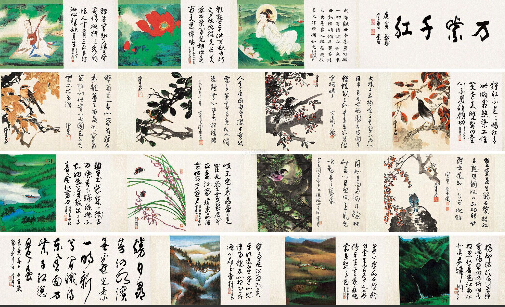 The exhibition of calligraphy and painting exhibition of 108 pieces. Especially a macro system Zhang two landscape and Chinese Characters Calligraphy, gave the audience left a visual and spiritual dual shock. The opening ceremony, Lv Zhangshen, director of the National Museum of the National Museum of the Central Academy of fine arts Dean Dean fan has a speech. 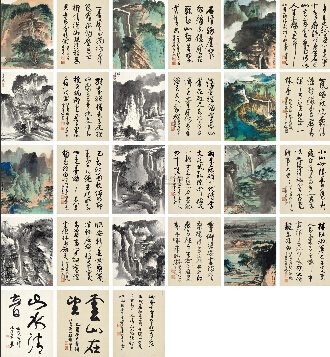 They all spoke highly of Chen Peiqiu's artistic attainments in calligraphy and painting style and its influence. 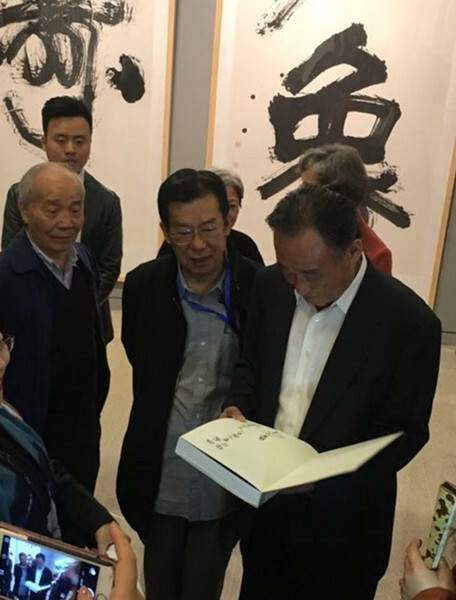 Deputy director of the central wenshiguan Feng far also came to the exhibition site to congratulate and carefully watched the works, on the morning of 20, the former chairman of the NPC Standing Committee Wu Bangguo also went to the exhibition site for viewing. GMT+8, 2019-4-20 20:58 , Processed in 0.249025 second(s), 18 queries .